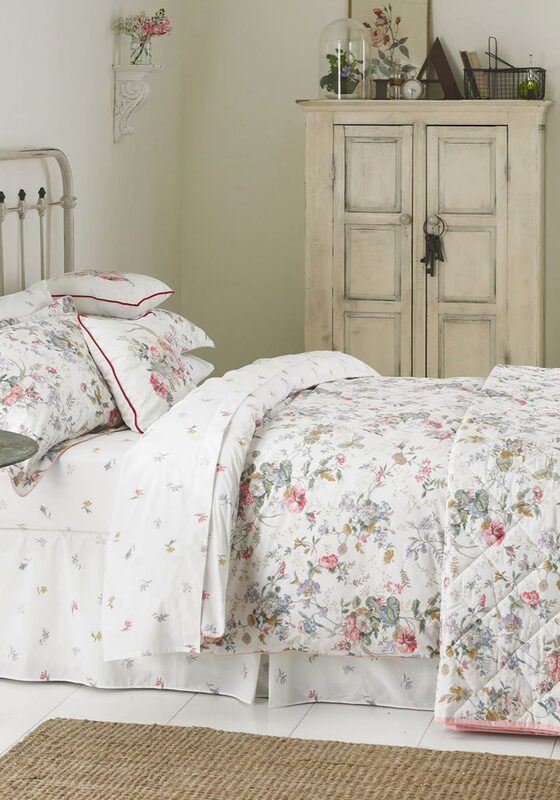 In a bright, feminine floral pattern, V&A presents the Guinevere duvet cover set which comes with the matching oxford pillowcases. Featured with a pretty pink trim, it is crafted from 180 thread count cotton and has a single blossom design on the reverse side. 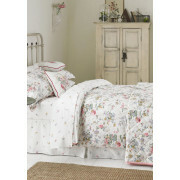 Complete the look by teaming with the matching bedspread and fitted sheet for a timeless look.